Master by Universidad de Barcelona “Research in Medical Sciences”. Sport Physician by Sports Medicine School of Barcelona University. Master by Universitat de les Illes Balears “Physical Activity, Health and Sport Performance”. Scholarship by European Community. Degree in Medicine and Surgery by the Universidad Rovira i Virgili. ECOSEP 2nd vice chair, and Scientific Committee. FEMEDE (Federación Española de Medicina del Deporte). Sports Medical Section of Doctor’s College of Barcelona. FC Barcelona, as Sport physician, from season 2004-05. 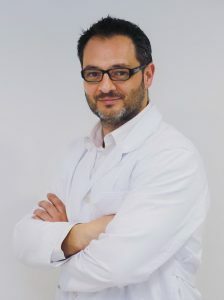 CAR de Sant Cugat, as Sport Physician, from July 2009. Universitat de Barcelona, as Professor in Sport Medicine School, from July 2004.